Do you often feel that your work commitments leave little opportunity for a rewarding personal life? You are not on your own! Through my experience as a matchmaker and relationshp mentor since 1976, I know that the demands of a career can play havoc when it comes to enjoying a rewarding personal life – including a great relationship. 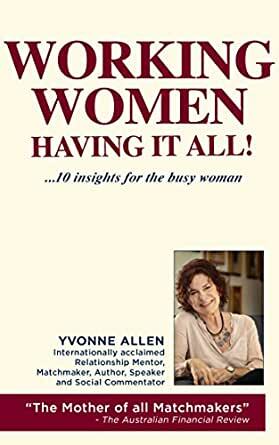 This collection contains some of the insights I have shared with thousands of women that have helped them to bring more balance and joy into their lives.